We are the manufacturer and supplier of Straightening Machine. We are engaged in offering a wide range of straightening machine that includes pipe straightening machine and sheet straightening machine. 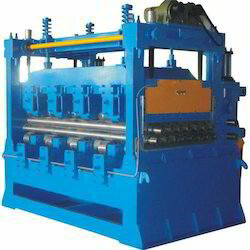 We are leading manufacturer & exporter of Metal Sheet Straightening Machine. There are differant types of Leveler machine. 2 Hi straightner, 4 Hi Leveler, 6 Hi Leveler etc. Packaging Details: This is Loose pack machine. We are the Leading Manufacturer of the Straightening Machine. We are offering a wide range of Straightening Machine. This machine is available in different specifications at reasonable prices.